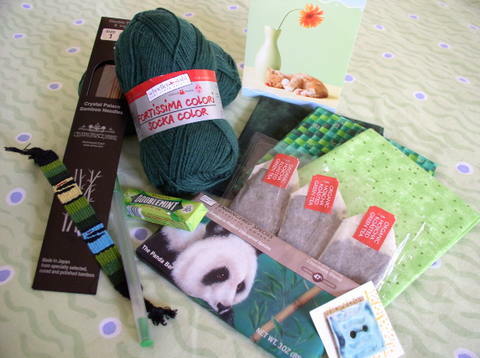 bamboo sock needles, gum, an adorable card, and a dark/white chocolate bar. It's a miracle that last item made it into the picture and not straight into my stomach! Again, I forgot to take a picture of the things I sent off, but maybe Dyann will be able to post something once she gets it... Thank you so much, Dyann, I can't wait to cast on with those beautiful, smooth new needles. 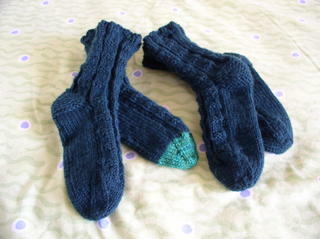 And I do need to find something new to cast on, because i just finished up two pairs of socks for charity. CIC is just one charity that my knitting guild regularly contributes to, and I've knit many pairs of socks for them in the past. Gee. Think anybody will notice? 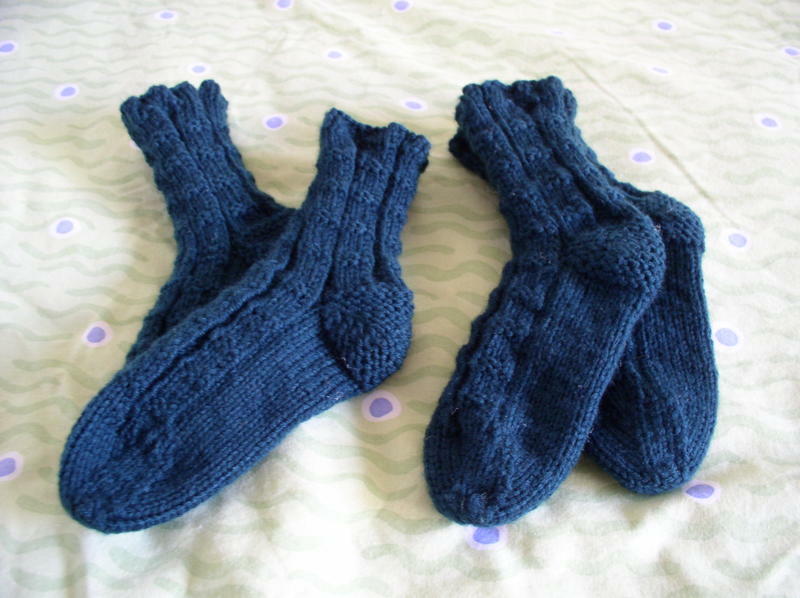 Ah, well, I'm sure they'll still help keep some child's feet warm. Oh, and I think there are still a few spaces left for June's Colorswap, so if you want to get in on it, click the link at the beginning of this post, and let Lynne know you're interested! I like those socks! :) And, of course, all of that green goodness!